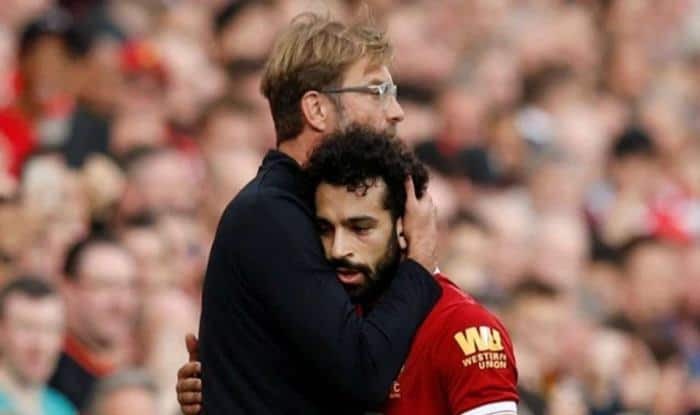 Liverpool head coach Jurgen Klopp has defended the club's star forward Mohamed Salah, who has been at the receiving end of criticisms for diving to win penalties. Liverpool head coach Jurgen Klopp has defended the club’s star forward Mohamed Salah, who has been at the receiving end of criticisms for diving to win penalties. The Kops boss said that Salah is being singled out because he plays for a top Premier League club. The Egyptian forward has been involved in four penalties in Liverpool’s previous five clashes and was slammed for deliberately diving in the box in the club’s victory against Crystal Palace which was spotted by the referee Jonathan Moss, and he refused to award a foul. “All the others can do it from time to time and nobody really talks about it, that’s all fine,” Klopp told reporters ahead of Liverpool’s Premier League match against Leicester City on Wednesday. Klopp also pointed out that when Leicester City striker Jamie Vardy was involved in a similar situation against Southampton earlier this month-diving for a penalty- he did not receive the scrutiny as Salah.